MOORESVILLE, N.C. — A full wrap-up of the 50th annual Snowball Derby from Five Flags Speedway, as well as exclusive interviews from race winner Kyle Busch and top pro late model contender Cole Williams, headline two hours of short track racing news and analysis on the newest episode of Race Chaser Online’s Stock Car Show. The two-hour national radio program airs weekly every Thursday night from 7-9 p.m. ET, exclusively on the Performance Motorsports Network. Race Chaser Online analysts Tom Baker, Jacob Seelman and Cisco Scaramuzza will break down all the major storylines from the golden running of the nation’s premier super late model race, as well as hear from Busch and podium finishers Jeff Choquette and Bubba Pollard on their runs and coming so close to winning the Tom Dawson Trophy in Pensacola. 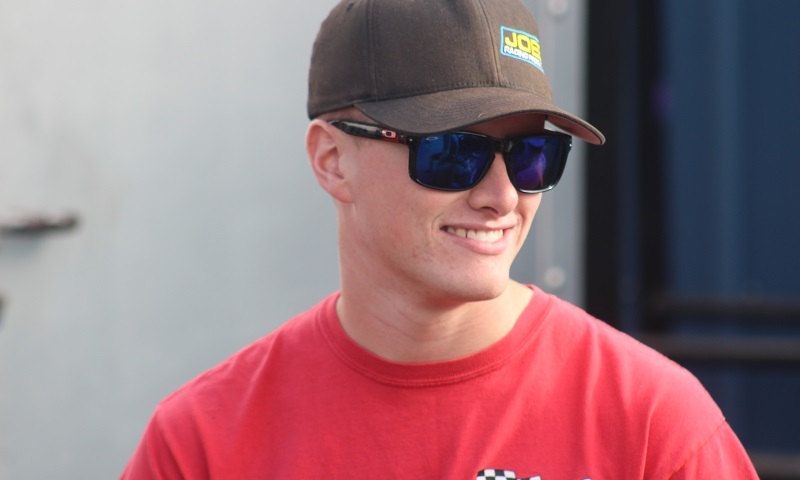 Williams also returns to the Stock Car Show after a solid run in Florida, and dishes the details on his strong season, including a big win at Bristol Motor Speedway and his plans to step up into a bigger role in a super late model next season as well. The crew will break down the news of the week as well, including the announcement of the 2018 NASCAR K&N Pro Series East schedule and a big sponsor signing for Joe Gibbs Racing, while Kyle Souza returns to the Roundtable to preview Doug Coby’s acceptance of his fifth NASCAR Whelen Modified Tour championship and the New England notables that will be honored during this year’s NASCAR Touring Series Awards. The show will also be rebroadcast on the Performance Motorsports Network on Thursday nights from 9 – 11 p.m. Pacific, Friday mornings from 10 a.m. to noon Eastern and 8 p.m. to 10 p.m. Eastern, as well as the Monday following the show from 12 noon – 2 p.m. Eastern time. In addition, the shows will also be available on-demand via the Race Chaser Online Soundcloud channel on Friday afternoon following the show, as well as on iTunes and Google Play by searching ‘Race Chaser Radio’. HMS Motorsport, the leader in motorsports safety, carries product lines from Schroth, Stilo, Addidas, Hans, Lifeline, Molecule, Momo, Alpinestars, OMP and Racecomm Radios and is your one-stop safety source in the world of motorsports. They are a presenting partner of the Stock Car Show and host a series of safety segments and live seminars throughout the year in partnership with PMN Radio.